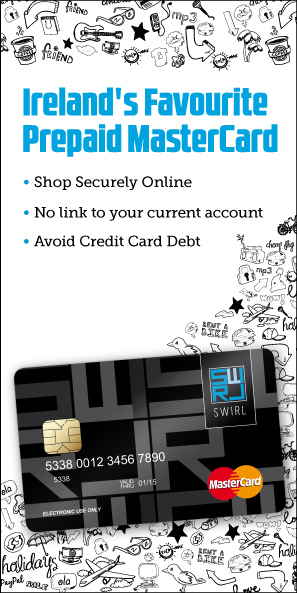 Swirl MasterCard is the perfect Travel Cash tool for business and holiday travellers. Carrying cash abroad can be a nightmare as you run the risk of your cash being lost or stolen. A Swirl Mastercard is a convenient alternative to buying currency as traveller's cheques in dollars/sterling or any forieign currency as it allows you to access your funds at any ATM worldwide displaying the Mastercard® logo. Check you're on budget with 24/7 access to your online account. *This can be done in-store with a separate loading card (please contact Customer Support for more information) or by logging into your online account and topping up with a Debit card.